Choices in videogames aren’t something new, despite the furor around “meaningful choices” in some of the latest games and those preceding them in the past ten years. 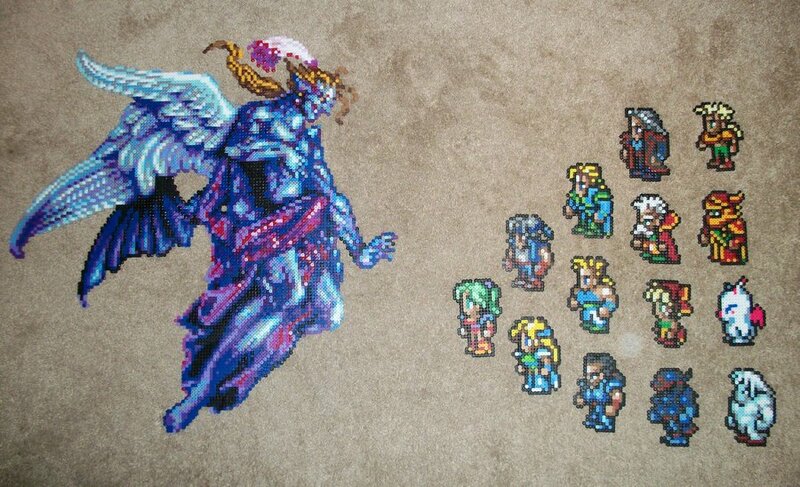 From the multiple endings in Chrono Trigger and Silent Hill, the myriad of party members in Chrono Cross (some of which required a 2nd playthrough) and Final Fantasy VI to the Dark/Light Side endings in Star Wars and even The Suffering (less known but really good) games, players have always had the ability to choose from a set number of options with potentially hundreds of ramifications. 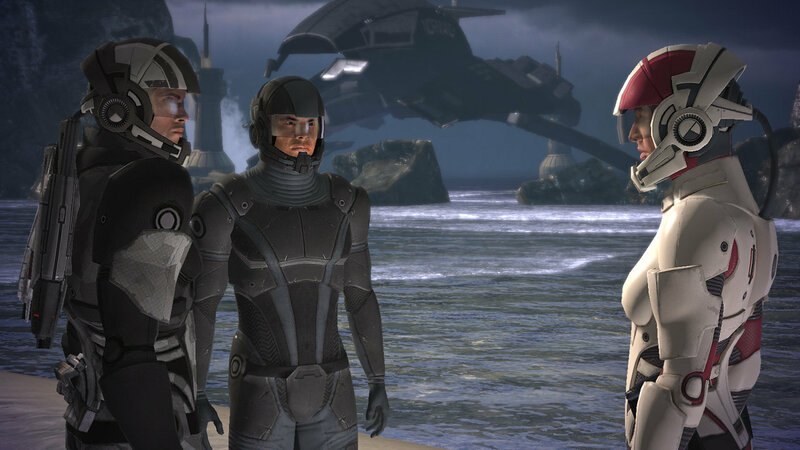 Having said so, do we really have choices in videogames, and are they meaningful? It depends, really, on whether we are emotionally engaged or not, how many options we have to choose from and how many outcomes they create, the higher the number the better. 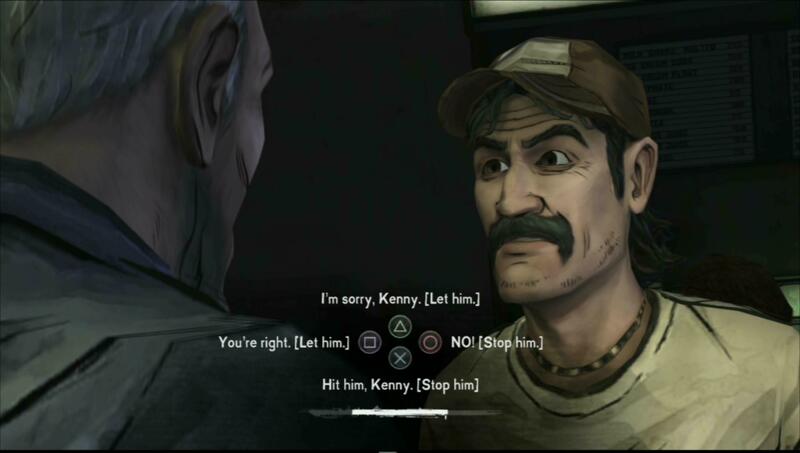 The Walking Dead game by Telltale Games, currently on its second season, has received critical acclaim by its meaningful choices and while the little things are meaningful, those moments when you argue or support someone, the moments when you act or not, and in general any of those in which the game informs you “Character X will remember this,” the main choices fall flat in terms of being a real choice. T -5 seconds to imminent removal of choice! The “main choices” I talk about are those moments, those big decision points the game tracks and shows you at the end of the episode, and which, in general, revolve around who gets to live and who gets eaten. This is where the “freedom” of choice is taken from you by restricting you to two possible outcomes. But what if I don’t want to save two characters from zombies? Where is my edge of the coin? What happened to the choice of doing nothing? What about the evil choice of pushing them towards the zombies? As much as you want them, you can’t have those choices, you get to pick life and death as absolutes, no middle ground, no perfect ending (good or evil); even if in some cases, attaining the perfect outcome was possible, if only the NPCs weren’t written to freeze in a panic. In this regard, the AI has more “freedom” than you do. There’s another problem with these choices, and any semi-important one in Telltale’s latest choice-based games (yes, including some of the little things I mentioned earlier), and it’s the fact you have a limited time to make the choice. If time runs out, the game will pick for you, effectively taking the choice, as limited and almost nonexistent as it was, away from your hands. Another game famous for its “choices” was Mass Effect, and while we all know it all boiled down to a 3-door choice at the end, disregarding all previous decisions and throwing out “meaningful choice” out of the window, the first two games delivered quite well on the promise of choice, with even the tiniest thing having a lasting impact on the society around you on The Citadel. There were still two-sides-of-a-coin choices centered on the game’s morality system, between Paragon and Renegade, but they never seemed central, but more of a case-by-case thing. Also, thanks to its strong storytelling you were very engaged emotionally with the situations and characters, so those limited black & white, A or B death choices seemed natural and felt right. Sure, it’s just a façade, but they made you feel right with the lie about having a choice. Personally, The Witcher had one of the best implementations of choice, and it did with a simple solution: heads, tails and the edge. 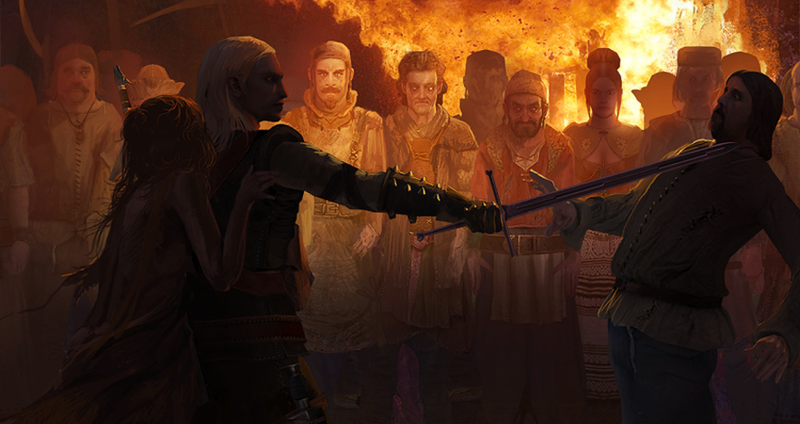 In The Witcher you didn’t need to pick a side, you could remain neutral for the entire game, switching allegiances or keeping your own. Sure, there were defining moments in each Act, but you could still end the game being completely neutral, The Witcher’s Path. One of End-of-Act choices in The Witcher, my choice always felt right! Then again, maybe asking for real choice in a game is impossible. How much would you have to code to take in every possible choice a person can make? How large would code scripts be if you had to program the AI to react to your every whim, mood swing, or whatever ails your mind; and even if you always thought to include the suicidal or the psychotic choice options (or Lawful Good & Chaotic Neutral/Evil for those with a D&D inclination), there are still too many possibilities to include. That is why I mention The Witcher on that point. It gave you three choices, and with the few In-Act choices, you could still arrive at the neutral point, or the human-sided or the non-human-sided with more than one path, giving you the illusion of choice, of free will inside the game. In the end, it’s not so much how meaningful the choices are, or how far reaching the consequences, because to us, as humans, every choice is meaningful, as long as it feels personal. On that, with regards to Telltale Games, I feel Wolf Among Us is much more successful, even if by an almost insignificant margin. The Walking Dead is so bleak it desensitises you to the drama. When there is no hope, nothing else matters really, but that’s another subject, and one brilliantly explained by Jim Sterling’s Jimquisition. The important thing is whether we feel we have a choice, and two options, the flip of a coin, isn’t choice, nor is having your choice taken from you if you take too much time to think (which isn’t something only Telltale does, it happens in many games). If you give someone the edge of a coin at the very least, it makes them feel there’s a chance to find the perfect solution, even if there isn’t. Also, games with choice need to make sure they emotionally engage their gamers, so that the choices feel meaningful. It’s more important that we feel the choice matters to us, personally, than how many repercussions they have.